Andrea Kaplan Russell is an associate at Kirby Noonan Lance & Hoge. 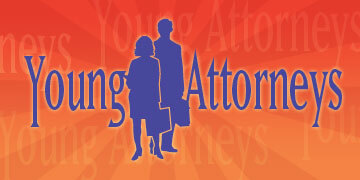 Her experience includes representation of individuals and business entities in litigation matters. She concentrates her practice on complex business disputes, real estate, and professional and product liability actions. In her short time since beginning her practice, she has achieved many successes for her diverse range of clients, from Fortune 500 companies to single business owners. Russell graduated from the University of California, Berkeley in 2001, earning bachelor's degrees in both sociology and mass communications. Russell received her J.D. 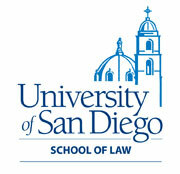 from the University of San Diego School of Law in 2007. While in law school, she served as a judicial extern to the Honorable Louisa S. Porter, of the United States District Court, Southern District of California. Additionally, she interned for the United States Attorney’s Office, Civil Division, and worked for LG Electronics MobileComm USA Inc. in its legal department. Russell was the recipient of the Academic Achievement Award in Legal Writing and Research and Contracts. She also served as an executive board member for the Phi Alpha Delta legal fraternity and the Sports and Entertainment Law Society. Before becoming an attorney, Russell worked in the broadcasting industry for both national and international sports and news channels. Russell is an avid sports fan, and in her spare time she enjoys watching Cal sports, traveling, cooking, and going to the beach with her husband and Bernese mountain dog. Both Jeremiah Lowe and Theresa Bowen have followed the lead of John Gomez and the rest of the Gomez Firm in putting community service at the forefront. Kimberly A. Dimino is an expert in re-invention. With 20 years of nursing under her belt, she felt the calling to help with medical malpractice cases, and started a legal nurse consulting business. Not content to stop there, she set her sights on a new career in litigation. Dimino graduated from California Western School of Law this past December.